Brilic is a newly designed app which is available on iTunes and Google Play now. It is getting popularity and offers a lot of chances to meet someone nice, attractive and serious anywhere in the world. And you choose who to start communication with, not the algorithms and machines! Location – country, region and city. Preferred age of a future partner. If you are looking for a cougar, you set the age limits first, which correspond with your wishes. And also it is good for you to tell about your search goals in your profile – there is a field for self-description. Attractive photos are very important in the search if you want to meet a cougar. So, try to take the best one for Brilic profile! How to look for cougars on Brilic? Brilic allows you to do your search in different ways, and it is really an attractive feature here. You may set your location and look for cougars nearby, the app will show you the results. Or you may use Brilic worldwide – and communicate with mature women from all over the world without limitations. Brilic is also great for those who travel a lot. You may do your search on a distance in the cities or countries you want to visit soon, and plan your dates before you come to the city. When you find an interesting woman, you may show your sympathy with “like” or write a message. Brilic has a chat page – there you can exchange texts, photos, and send virtual gifts. Cougars, like all the other women, love some nice and tender things like roses, hearts and kisses! 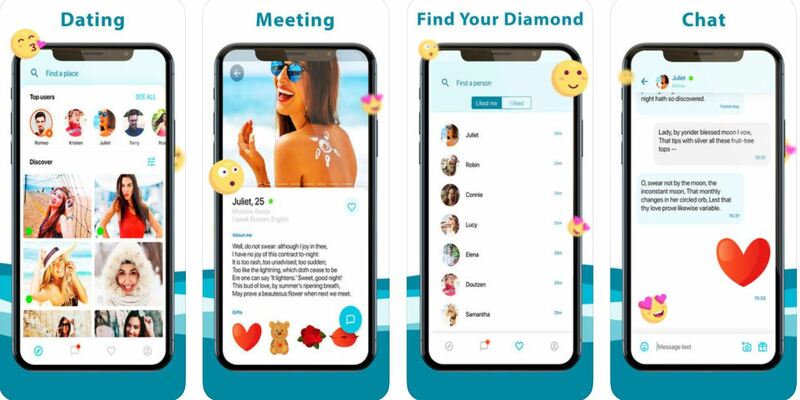 This app allows you to start communication with anyone you like. There are no swipes or location-based technologies, and you do not have to get mutual sympathy with someone to start messaging and chatting – all the profiles are open for communication here. There are functions which you can use for free – search, browsing profiles, and showing sympathy. But to use Brilic to the full and to start serious dating, you should get a subscription plan which opens all the options to you. There are 3 variants of packages which last for 1, 6 or 12 months. You also can get credits – they may be earned in the app by using it in an active way, or purchased separately. You can purchase from 200 to 40 000 credits at once. The more you get, the cheaper each credit is. If you want to get more attention on the app and attract more cougars, you may purchase Boost option. It lasts for 1 week. Your profile will be placed above all the other profiles in the search and on the start page – so lots of attention are guaranteed! Fast growing dating app oriented on cougars dating! You can find a hot, passionate and mature woman really fast here. Do not waste your time! Cougar, the app with the name which speaks for itself, was designed especially for the certain search goal – for younger men who want to meet mature women. This app is suitable for different dating goals – to meet a cougar for friendship, for casual dating and communication, for serious relationship and even for starting a family. It can satisfy any needs and demands. Cougar is available for free on iTunes. You may download it on your iPhone or iPad. Creating an account is also free and simple – you give all the necessary information about you and describe your interests and preferences in search. To find a mature lady fast, state your location and age. You should add at least 1 photo of good quality to your profile. Try to choose the most attractive one! Cougar has an attractive and intuitive interface. It gives you all the necessary information in one window. When you open a profile, you see the main photo of a lady, her name, age and location at the same time. There are lots of profiles of cougars from different countries, living in cities and rural areas as well. When you open a profile, you may show your sympathy with “like” button and attract some attention before chatting. Also you can send your lady a “spark”. You can use search filters in the app. The main criteria are age and location, and you also may set the maximum distance between you and your future partner. After that you get the results – profiles of women who satisfy your criteria. You can send a wink to those who you like, create a match and start chatting then. Chat page is simple to use, and you can easily discuss all that you and your partner want to get from dating. If there is chemistry between you, set the date in real and enjoy all that you want to do together! The full package of options will be available for a user after getting a subscription plan. Members can purchase plans for 1 week, 1 or 3 months, or for 1-month VIP with a free trial period. The purchases are made through iTunes account, and all payments need confirmation before the funds will be deducted from your balance. With all the specificity of the subject, Cougar really helps men and women find their partners and enjoy their time together. This app is much more efficient than usual dating apps which do not focus on the cougar theme. Looking for someone hot nearby to spend a night or two with pleasure? Wild+ is just right for you! Lots of profiles of people who feel as lonely as you do now! 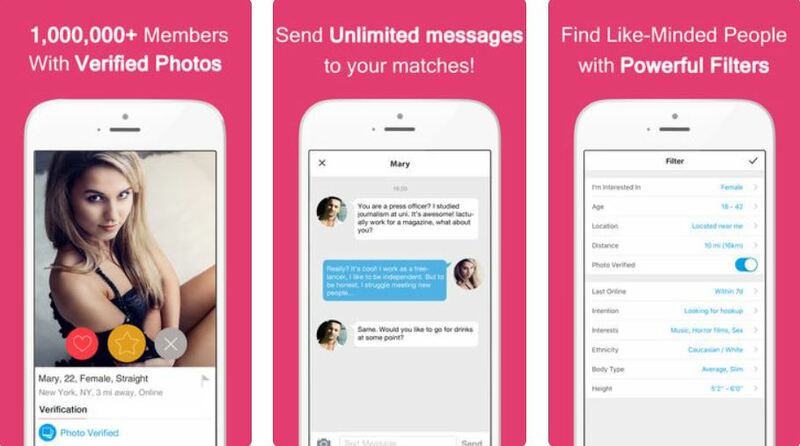 Wild+ gives you the fastest way to date someone for a hook up. This app is meant for this goal and welcomes everybody from different cities in the USA like New York, Las Vegas, Chicago, Los Angeles and others. The app itself is free, so you can browse through profiles and see that it is really great before you start using it to the full! To start using Wild+ you should be at least 17 years old. The app is available on iTunes for free. You download it on iPhone or other Apple device, and it requires iOS 10.0 or later. Registration is simple – you state your name, age, location (city), and sexuality type – straight, gay, lesbian, or bisexual. The profiles may be verified here, but you may verify it when you want. To find a perfect partner as soon as possible, it is recommended to upload a photo of good quality, and give some information about yourself in the profile description. Almost 70% of user profiles are verified here, and you may be sure you see the photos of real people! Wild+ provides simple, bright and intuitive interface which is pleasant to be used. After you fill all the necessary data, you set the search parameters. You may choose age limits, desired sexuality type, and maximum distance you are ready to look for your partner on. What makes Wild+ different from other popular dating apps is that you can choose what type of dating you want to have – casual dating, hook ups, just getting new friends, or even serious relationships. If you are going to meet cougars, you can use the search algorithm as well, setting the preferred age limits for your future partner. On Wild+ there are some options which make it great. The first is a possibility to upload hot private photos. You can exchange them with the users you want, and open the access to your cougar matches created here. Also, if you want to remain unknown when you browse, you can choose anonymous browsing and hide your main profile photo. When you open someone’s profile, you see the main profile information and a photo. If you add a person to your favorites and he or she adds you back, you create a match and can start chatting. In the chat you can exchange text messages and send photos to each other, including hot, immediate, and private ones. While the installation and browsing through profiles are free, the complete package requires some payment. There are several subscription options available. You may purchase 1, 2 or 3 months of VIP service here, or get a Super VIP plan to open all the possible options for you. There is a 3-day free trial offered for those who purchase a VIP plan so you can enjoy this unlimited option to the full. Chatting on the app is free. After getting a VIP plan, you can see who liked you without adding them to your favorites, get unlimited messages and likes options, use anonymous browsing and so on. Wild+ can satisfy any needs you have in dating, and all you need to do is just download the app and open the search page. New hot and passionate friends are waiting for you! The best platform to meet Ukraine woman. Who Doesn’t Love Dating A Sugar Mama?